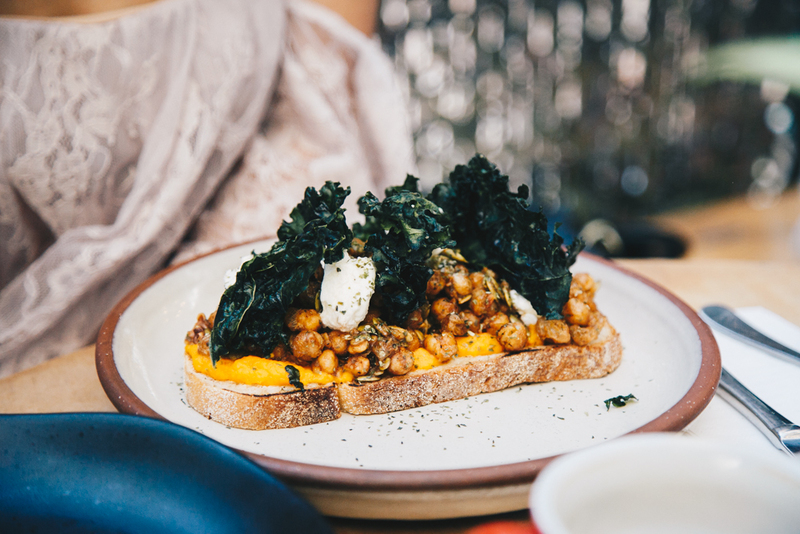 I've decided to pay tribute to a few of Sydney's best breakfast joints based on consistent performance where they've learnt to nail the massive crowds as well as the classic sweet and savoury dishes. Some of my top selects are small and hidden gems whilst others are large and spacious. But one thing which they all have in common is their love for great coffee and their ability to present a great cross-section of morning dining in Sydney! Winner of the Best Food Café at the Good Café Guide Awards 2014, Devon Café in Surry Hills has excited taste buds once again with a smashing new Winter menu! The new lineup stars warming flavours such as pumpkin with roasted nuts and seeds on the Bruschetta as well as a hearty Ragu Papardelle pasta! I was seated in the middle of the courtyard with plenty of sun and loved the beautifully presented and delicious food on their menu which changes every couple months! ‘With the changing season, comes new and exciting ingredients to work with. We love the challenge of creating delicious dishes for our customers’ – Zachary Tan, Executive Chef. For dessert lovers give the new Hojicha Cookies n’ Cream with mandarin a go! Every season, Devon Café at both Surry Hills and Barangaroo tailor their menu to suit customers, take advantage of the best quality ingredients and create flavour adventures that never disappoint. Had a sneaky Sunday morning breakfast here right in the middle of shopping centre in Parramatta Westfield. This newly opened café by Phins & Chris opened just a few weeks ago and is the perfect place to catch up with good friends over a delectable spread. Phins and Chris wanted to create a place with good vibes and great coffee and decided this was the perfect opportunity and place for their vision to materialise. Serving Single Origin coffee and beautifully plated food some dishes you have to try are photographed below! Hong Kong Style Egg waffles! A big YES! hash brown with poached eggs! I absolutely love Bill Granger's no-fuss approach on food. I have still yet to find a place which beats the fluffy ricotta hotcakes here. The cafe’s legendary breakfasts are still talk of town. This space has a minimalist aesthetic with its exposed raw concrete juxtaposed against dark black elements and big bold prints - it's hard not to stop by when walking past. Still a big sucker for their blue smoothie bowls & ricotta hotcakes!